Hmmm...this broadsheet mentions that this year of 2015 marks the 240th anniversary of the beginnings of the American Revolutionary War. I wonder if there might be a national celebration like we had in 1976 for the Bi-centennial? ~ a 1764 pamphlet called The Rights of the British Colonists Asserted and Proved was written by James Otis Jr., a lawyer, and stated that "No parts of His Majesty's dominions can be taxed without their consent; that every part has a right to be represented in the supreme or subordinate legislature..."
~ the Stamp Act of 1765, which imposed a direct tax on the colonies by taxing all printed material including legal documents, magazines, playing cards, newspapers, and other types of printed items. The colonists resisted this Parliamentary authority and fought back through petitions & protests, and created coalitions, among other forms of resistance. 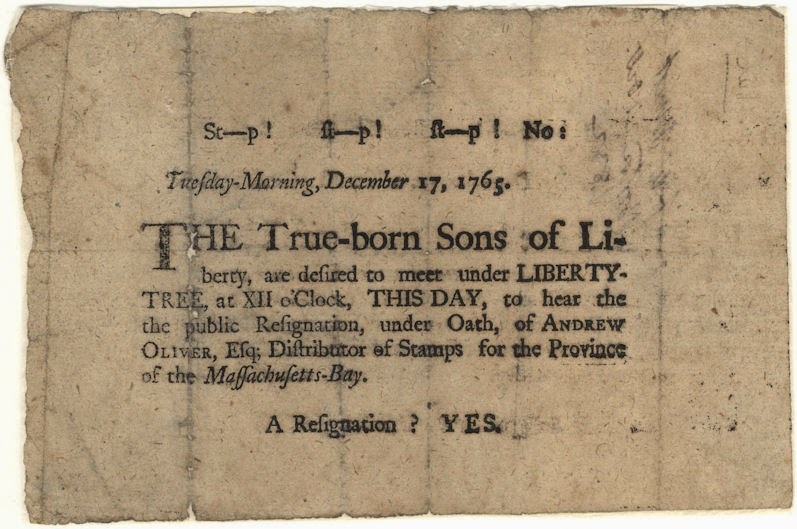 ~ the Sons of Liberty, a secret society that was formed after the Stamp Act to help protect the rights of the colonists and to fight the abuses of taxation from the British government. Their demonstrations against the taxes imposed often turned violent. 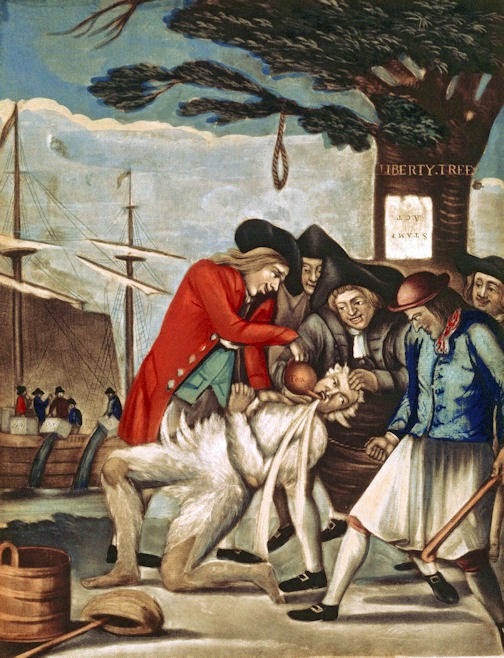 John Malcom, four weeks after the Boston Tea Party. ~ the Boston Massacre of 1770, where the presence of British troops in the city of Boston was increasingly unwelcome. The riot began when about 50 citizens attacked a British sentinel. A British officer, Captain Thomas Preston, called in additional soldiers, and these too were attacked, so the soldiers fired into the mob, killing 3 on the spot (a black sailor named Crispus Attucks, ropemaker Samuel Gray, and a mariner named James Caldwell), and wounding 8 others, two of whom died later (Samuel Maverick and Patrick Carr). ~ On Sept. 6, 1774, more than 4,600 militia from Worcester, Massachusetts and three dozen surrounding towns descended on the county courthouse, forcing the magistrates appointed by the British administration to resign, and effectively declaring Worcester County to be beyond the reach of Parliament in London. Perhaps the "shot heard round the world" could have been here, if only there had been a shot. Worcester had everything else. (from the Worcester Revolution of 1774 page). ~ Then there is what took place on April 18th and 19th in 1775 - 240 years ago - the culmination of the previous events leading up to an all out war...a rebellious Revolution in which the outcome formed a new nation: the United States of America. Last year was the first time I ever wore period colonial-era (1770s) clothing anywhere, and my first outing took place at Greenfield Village, for they have actual 18th century houses - a rarity here in Michigan. It was a very interesting and enjoyable experience, walking around the historic open-air museum dressed with my breeches, tricorn hat, and buckled shoes. Might I borrow your horse? I may need it to ride this evening. One of my favorite parts of this day happened shortly before leaving the Village to go home; I was at the 1880s Firestone Farm and a little boy, probably around the age of nine or ten, asked me why I was dressed in this manner, for there was no reenactment going on. He could tell I was dressed historical but quite differently than the presenters there who wore fashions more suitable to the late Victorian farmer period. As I began to explain my clothing, it suddenly hit me: without realizing it, the date just happened to be April 18 - how coincidental to have my very first colonial excursion take place on such a historical date! So I explained to this young attentive future historian the significance of April 18, and how "239 years ago tonight, Paul Revere would make his famous ride, warning the countryside that the regulars were out, and they were coming this way to take our guns and ammunition so we couldn't fight them should the need arise!" The young man was thrilled to hear this and immediately ran to his mother, shouting, "Mom! Do you know what happened 239 years ago tonight?!?" and, verbatim, proceeded to explain to her what I had just told him. Only a few minutes later I saw this same young history buff pretending his mother's umbrella was a musket and 'shooting' at the Redcoats, shouting "The British are coming!" 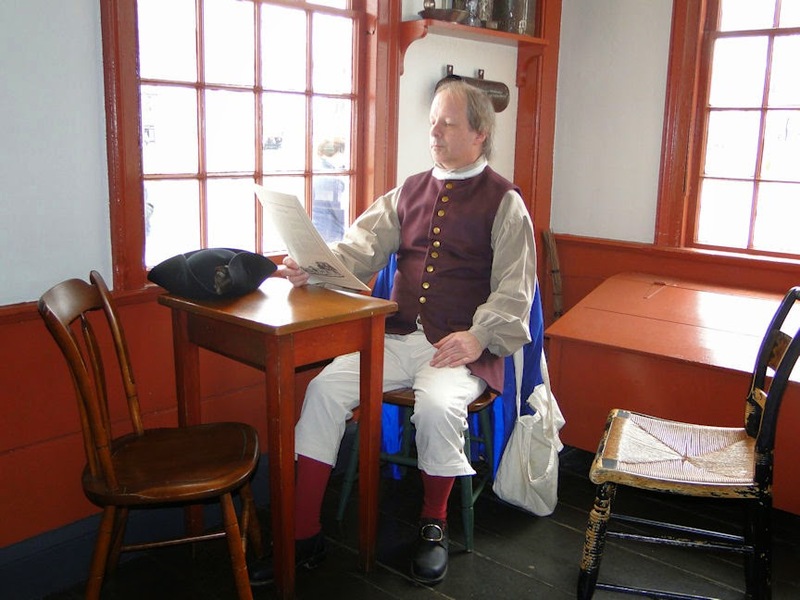 I corrected him to say "the regulars are coming," which he did, and then told him that "tomorrow, April 19, will be the 239th anniversary of the first battles, igniting the beginning of the Revolutionary War - the fight for our Independence." How exciting for this young patriot to hear of our nation's history in this manner. Yes, this capped an awesome day for me. We are ready for the 240th and the 250th! That's when it also hit me that 2015 would be the 240th anniversary of the fight for independence, and that the sestercentennial (250th) anniversary was only a little more than a decade away. If you're an old fart like me who remembers the bicentennial year of 1976, then you know how exciting the 250th can be if done correctly. I turned 15 in 1976, and for someone like me it was a great time to be a history buff. The Detroit News and the Detroit Free Press had weekly articles and specials about America's (and Detroit's) colonial period. And Time, Newsweek, and the Saturday Evening Post devoted entire issues of their magazines to the bicentennial, and I would immerse myself in the written words therein. I still have some of the newspapers and magazines, all yellowed and fragile. The shows on TV during that historical year showed the movies and documentaries of America's birth, and even including something called 'Bicentennial Minute,' where an event in Rev War history would be highlighted during commercial breaks, and it all swept me away into the past. Then there were the Colonial themed festivals and parades that took place where I could see and hear the fife & drum corps, and Revolutionary War soldiers and the colonial citizens. There was even a replica of an old 18th century sailing vessel that blew through the Great Lakes, and I remember standing on the bluff overlooking Lake Huron, using my grandfather's old blue telescope to see it. Here in 2015 we are coming off nearly a half-decade of remembering the 150th anniversary of the American Civil War. 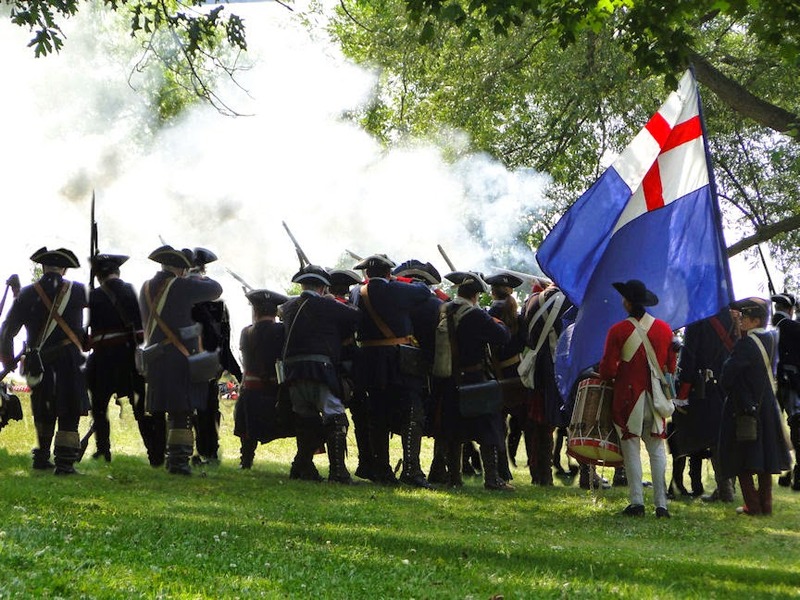 For five years reenactors have been presenting the major (and minor) battles and events at national and local reenactments with all the pomp and circumstance that could be had. I am proud to say that, though I have not attended any of the big nationals, I have taken part as an 1860s citizen in nearly every local event, including recreations of major battles and battle towns such as Gettysburg (click HERE and HERE to see how we brought Gettysburg to life in Michigan). The end of those four-years of horrific battles took place on April 9, 1865, when General Lee surrendered to General Grant at Appomattox Court House. Less than a week later, the celebration parties filled with joy and relief came to an abrupt halt when, on Good Friday, April 14, 1865, an assassin shot President Lincoln, who died the following morning. The nation, who just hours earlier was filled with gaiety and revelry were now thrown into mourning. "2015 will be an extraordinary year for reenactors, individuals, and organizations that are steeped in Civil War history. This year not only brings to a close the 150th anniversary of the Civil War, it will remind the world of the 150th anniversary that changed the course of American History - the death of President Abraham Lincoln. For the first time since 1865, thousands of reenactors, period carriages, visitors and dignitaries will, on May 1-3, 2015, convene in Springfield, Illinois, to pay tribute to our 16th President with superb events and the unparalleled historic and solemn recreation of the funeral procession to Oak Ridge Cemetery." It sounds like it will be quite a memorial affair, wouldn't you say? I am not sure if I will be attending, but I hope to; it certainly will be the culmination of all the commemorations that have taken place since 2011. Off to fight for Liberty! the shame would be for such a major event as the sestercentennial anniversary of the birth of our country to be forgotten about with little mention. To be honest, I haven't heard much talk at all about it, which causes me concern that there will be little fanfare. I mean, look at the meager remembrances for the 200th anniversary of the War of 1812 (the War that gave us the "Star-Spangled Banner"!). 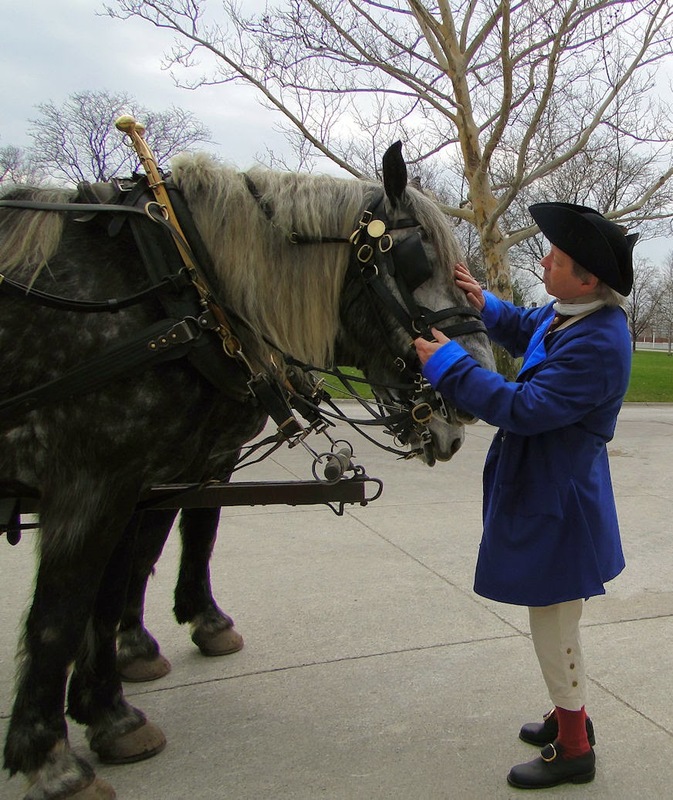 Greenfield Village gave a commemoration for two years with hardly any advertising at all. The media all but ignored it. 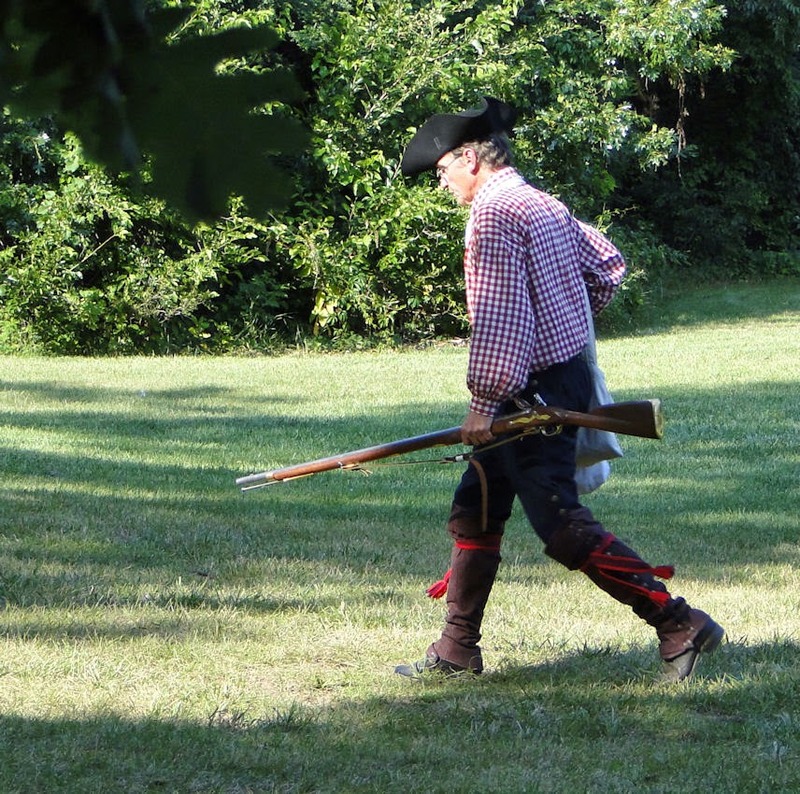 So what will happen for the 250th Revolutionary War anniversary? Well, it is my fervent hope that there will be the same vim and vigor that occurred for the 150th Civil War, with tons of historical reenactments, real and true programming, and a national celebration of which will not be seen for another 50 years. Maybe even border the frolicking festivities that occurred nearly 50 years earlier in that bicentennial year of 1976! And hopefully it will be a celebration and not a condemnation as what seems to be so popular in our culture today. Journal of the American Revolution - Yes, the same folks that put out the above mentioned book also have an excellent, source-driven website. It's an excellent site - probably the best internet site on this subject out there, and it has a variety of deep RevWar historians who take the reader on a more complete and intricate journey into the experience and gives accounts, details, and facts not found elsewhere (which they back up with mostly primary sources). The American Revolution - A well-done and well-organized web site. Great for young and old. Now you, too, can hold history in your hands. Yes, the man of the dictionary fame was actually a Founding Father. We almost lost his house to history in exchange for a parking lot. Read all about it here. 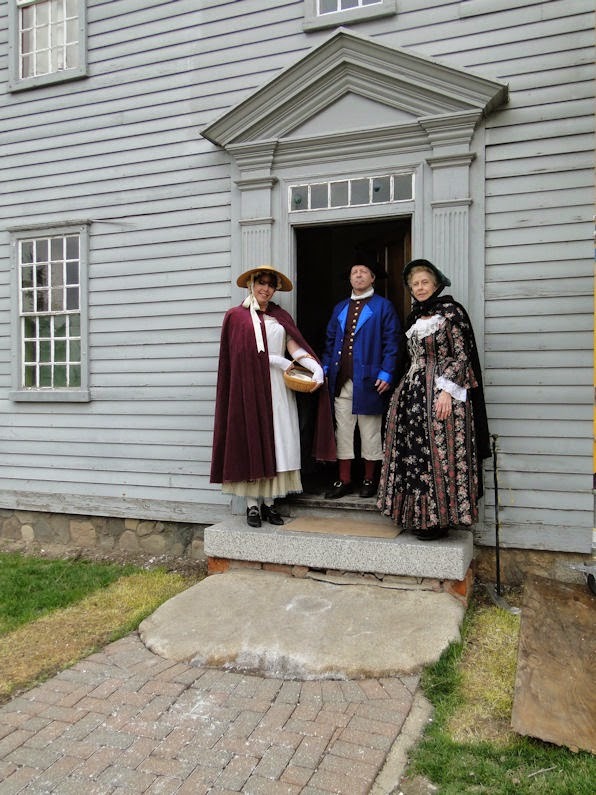 Update for 2015: "In the Good Old Colony Days"